If your kids aren't back in school yet, I'm sure they will be soon. Most blogs are starting their "here's how you get organized for the PERFECT school year", which is great, but we go to school year round, and our house is anything but perfectly organized. Kraft sent us some great goodies to help us be realistic with our planning goals, and I was thrilled to see a meal planner in the mix. I had printed out some meal planning pages earlier, but I love this one that has a magnet for your fridge! The products have inspired me to get more organized with my own strategies for "real moms." 1. Make a "sort-of" meal plan. I love that so many of my favorite blogs have neatly laid out meal plans by day. I do this, to a degree, but I'm also prepared to change plans at the last minute. I like to fill out my meal plan with meals for every day of the week that I have supplies on hand to prepare, and when life throws me for a loop, I can pick which meal I want to prepare that day. I then simply cross off meals as I make them, until I have eventually used all the meals for the week. This way, if the power goes out (like it did today), we can choose sandwiches from the meal plan. If I find myself with more time, I can tackle the ambitious task of making mini meat loaves. 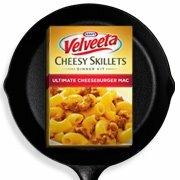 If the kids are around to cook, we'll have VELVEETA Cheesy Skillets Lasagna! 2. Keep snacks at hand. We travel quite a bit for sports in the fall, so we always keep a cooler in the car, along with several ice packs pulled fresh from the freezer. Tossing a box of CAPRI SUN Super V Fruit and Vegetable Juice Drinks in the car before we leave (along with an assortment of fresh fruits and cut-up veggies) ensure that we save money by not hitting the drive through during the snack hours, and it helps give my kids the recommended number of daily fruits/veggies they should be having. We really enjoyed many of the products in our Kraft kit, but I think our faves were the gooey caramel Chips Ahoy cookies! They were so sweet and delicious, I only needed one or two to tackle my sweet tooth, and they are perfect with coffee while folding laundry! I am really not sure if this school year will go as well as I hope, but I'm willing to try new things to make it go more smoothly. 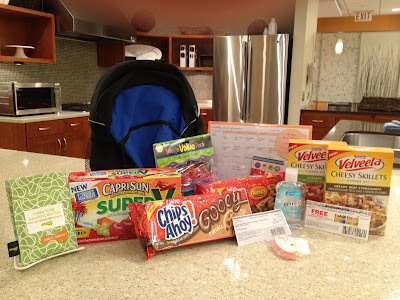 If you're needing some inspiration for meal plans, recipes, and tips, you will definitely want to check out the Kraft website (and the new offerings from Capri Sun and Velveeta Cheey Skillets), as well as the brands featured in our giveaway! 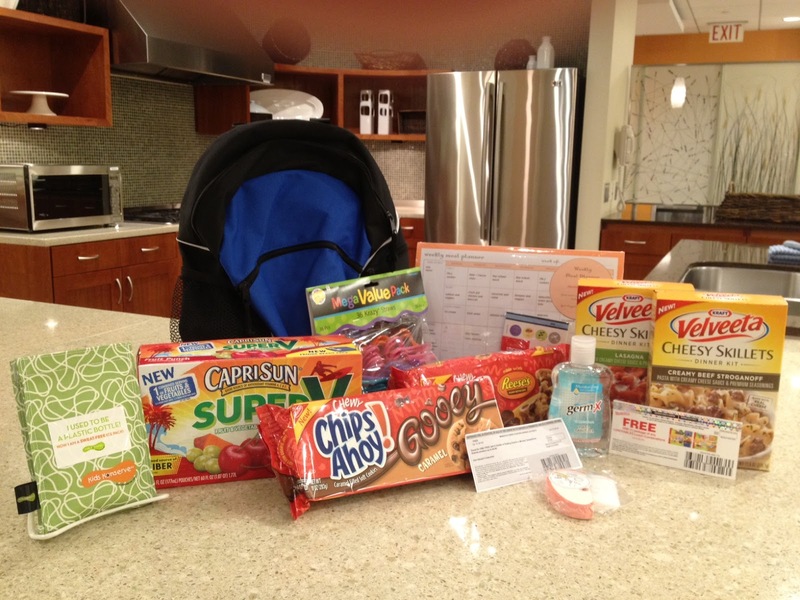 To be entered to win, just comment on this post with your best tip for making back to school simple with food. You have until September 2nd at 11:59 pm CST to get your entries in. One entry per person, and we will pick one winner at random from all eligible entries. This giveaway is open to U.S. residents ages 18+. See our full rules here. *Kraft Foods is providing the prizes for this program at no cost to me and has provided me with a gift of equal value for review. This program is not administered or sponsored by Kraft Foods or its affiliates, but solely by Lille Punkin'.